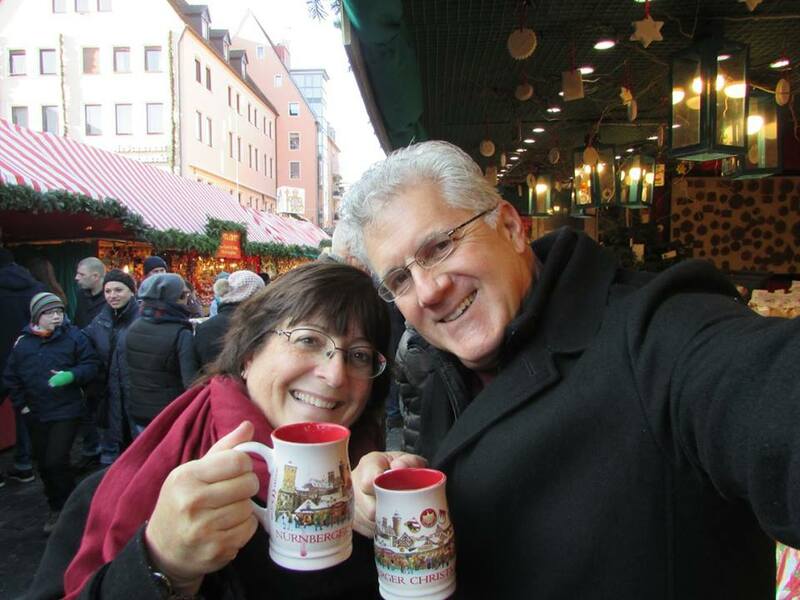 Christmas in Germany is magical, at least for me. The Germans are the best at Christmas markets and somehow walking around a market square sipping gluhwein and shopping for seasonal specialties feels very Christmas-y. That’s why we decided to head to Nürnberg for the “N” trip. 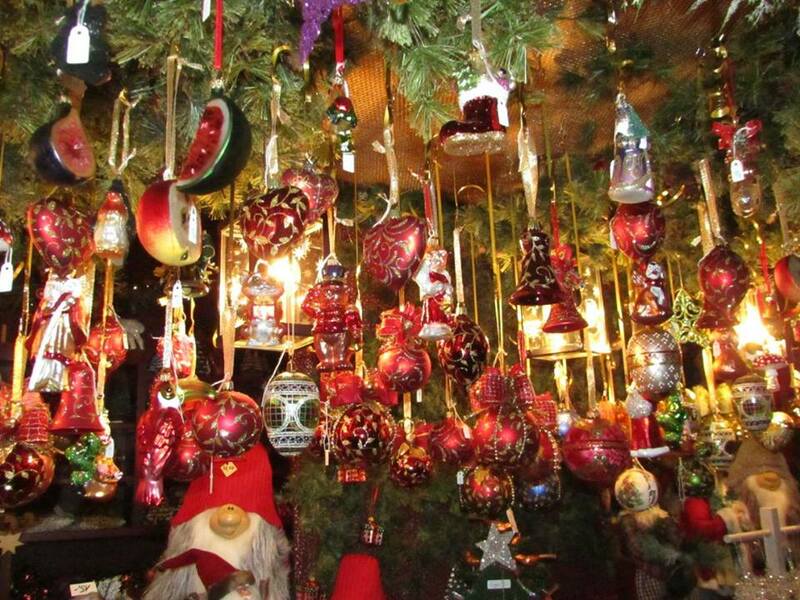 The Christmas market there is known around the world and the idea of spending a piece of the season in Bavaria evokes thoughts of snow and gingerbread and sounds of “O Tannenbaum” ringing in my head. Sure enough, the sights and sounds of the season did not disappoint us. Our boutique hotel just two blocks from the world-famous Kristkindl Markt was an easy train ride from Munich and a 10 minute taxi ride from the Bahnhof in Nürnberg. We arrived just in time to get checked in, change and refresh and head out to the market where the medieval atmosphere and architecture added to the festive spirit in the air. 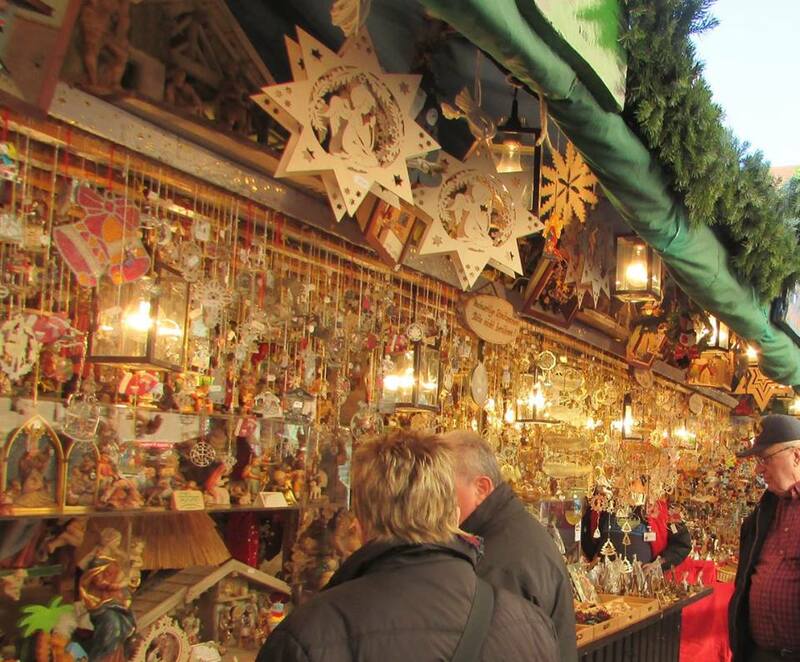 The main Christmas market is row upon row of classic German gifts and treats. There are ornately carved wooden ornaments. 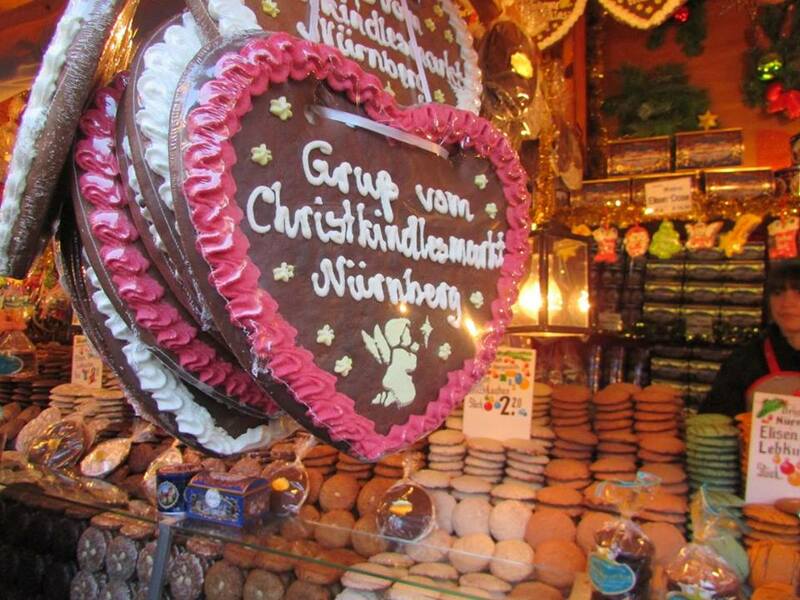 Nürnberger gingerbread hearts hang from stalls and offer greetings. a twist on the classic German angel Christmas tree topper. Window boxes, filled with brightly colored flowers much of the year, are filled with greenery and ornaments. Daytime in the market is festive enough, but when the sun sets, the lights go on and the entire market square is illuminated for the holidays. 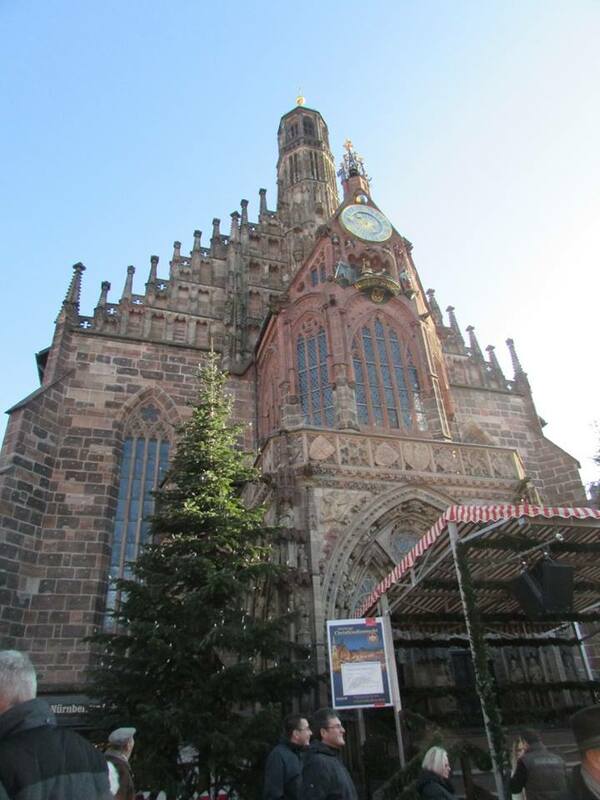 But Nürnberg is more than just the Christmas market. The city really is ancient. 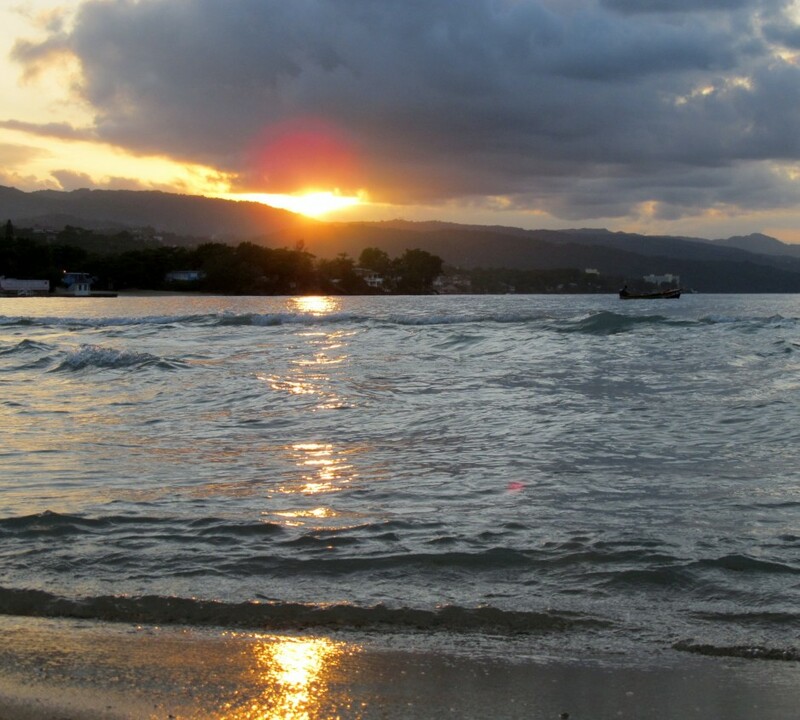 gently flowing water and dotted with charming views that transport you back to ancient times. I rave a little about Germany. Living there as a teenager has always given me a bit of comfort about traveling throughout the country. I feel a bit at home there. That’s a lot of what draws me there during the holidays, but it’s a beautiful country year round. If you get a chance, go and visit. Drink a beer. Eat a bratwurst. Sample the culture. Remember, there’s a whole world out there. Go see it.